In the state of Georgia, snowfall is a very rare occurrence. At first, most celebrate the joys of the fluffy, white mass covering the ground. However, after a day or so, the realization of being stranded comes into play. At the beginning of the semester here at YHC, the snow, which turned into ice, became a huge problem for students and faculty members. Laci Scott stated, “My shoes needed more traction than my tires” in regard to the slippery sidewalks. 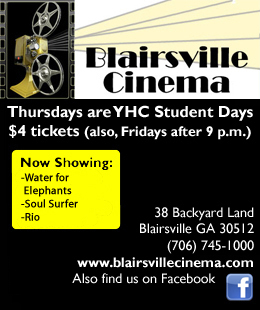 Because of the weather, YHC had to delay the start of the semester which put the school behind schedule. Many students and faculty members were not able to travel due to the inclement weather. The roads were covered with snow and ice which made for a dangerous drive. According to www.weather.com, the city of Young Harris received 2.1 in. of snowfall. During the storm, the college used the YHC notification system. The college was able to keep students and faculty updated on the weather and the delays to start school. YHC has an Emergency Cancellation and Closing policy for fires, power failures and severe weather. Disruption to the normal operations of the college may result in the closure of the school. “Young Harris College places the highest priority on the safety and well being of its students, faculty and staff. Everyone is encouraged to exercise extreme caution when traveling under hazardous conditions,” said the YHC webpage. Many students had already moved back in to their residence halls in front of the storm. Beginning on Monday, January 10, maintenance attempted to clear paths for the students. First priority was to clear a path to the cafeteria along with handicap ramps so that students would not be deprived of meals. Next, a path to the recreation center was cleared to give the students an option to rid themselves of cabin fever. After taking care of these two concerns, maintenance started working around campus clearing as much snow and ice as they could. They did this by shoveling and using de-icer which consists of salt, gravel, and sand. Some students even volunteered to help clear the campus of ice to make the paths safe for walking. 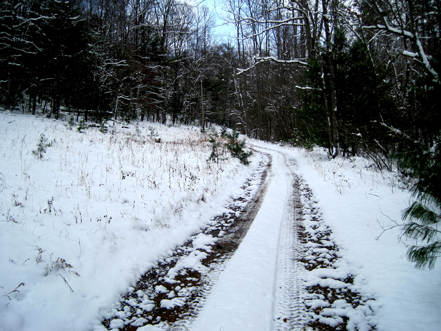 Although the weather caused many problems, the snowfall was not all that bad. Students on campus enjoyed snowball fights, making snow angels and sledding on our mountainous campus. Some went as far as building a fort, giant snow men (and snow women) and even a snow yeti named Archimedes. Young Harris College received eight inches of snow on Jan. 10, and the snow quickly turned to ice. This led to two days of cancelled school, a day of delayed start time for YHC and cancellations and rescheduling of events. Due to severe weather, welcome back week activities planned by the CAB committee were either delayed or cancelled. “The weather has affected our activities planned for welcome back week greatly. The weather especially affected those events that were scheduled to take place outside. For example, Martin Luther King Day of Service had to be rescheduled because a main proportion of the event was going to be held outside, but the snow is not permitting,” said Rouseline Emmanuel, Director of Campus Activities at YHC. Events scheduled for welcome back week included bingo night, chapel service, a dance thrown by Zeta Pi fraternity and Phi Alpha Phi sorority, Martin Luther King Day of Service, basketball games for Jan. 10 and 13 and a concert featuring Heath Mcnease. Some events that took place despite the weather included chapel service, the dance and the Heath Mcnease concert. The Martin Luther King Day of Service was rescheduled for Jan. 22 weather permitting. The basketball games were cancelled. Students were affected as well by the change of events due to the snow in that they had to find activities indoors to keep warm. “When I wake up in the morning and see that it is 3 degrees outside, I just want to hibernate until spring. This cold weather has really forced me to stay inside more than before. Therefore, there will be no outside activities for me,” said freshman Erica Brooks, a native of Athens. Most mornings, the YHC campus entered the day with 5 degree weather. Students have tried to make the best of the snow, but it has now turned to ice, the ice has made it a challenge for students to attend any activities on campus, even if theses events are not cancelled. “The first day or two, the snow was magical and so much fun, seeing everyone sledding, building snowmen and acting like little kids again was great. Everyone found their own activities. But once the snow turned to ice, it became a challenge to walk around campus,” said Molly Blaschke, a freshman and native of Athens. According to Emmanuel more events are to be scheduled for students in the next coming months weather permitting. Shortly after midnight, snow began falling across campus at Young Harris College. The late-night snowfall initially resulted in a 10 a.m. delay of campus activities on Monday for Young Harris College, but as conditions worsened across the South and in the city of Young Harris, the delay was exchanged for a cancellation of classes and activities at YHC on Monday. After intermittent sleet and snow throughout the day on Monday and reports for ice, a cancellation of classes and activities for Tuesday was announced on Monday night. Reports showed a range from four to nine inches of snowfall in north Georgia. With classes and campus activities cancelled, YHC students did not let the freezing temperatures discourage them from enjoying the snow days. With multiple layers of clothing in tow, students gathered in the courtyard in front of Hillgrove Residence Hall to make the most of the snow. From snowball fights to making snow men and snow angels, YHC students found ways to capitalize on the experience. 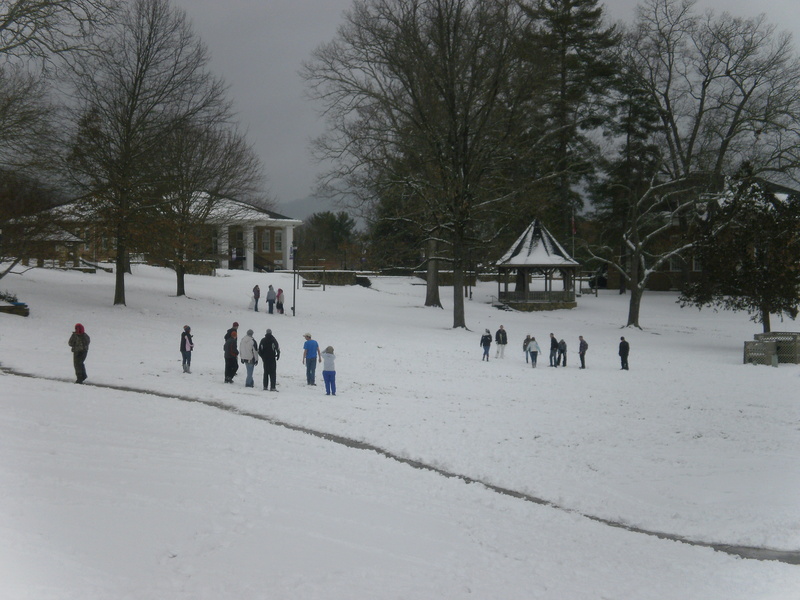 Although YHC students were able to enjoy the snowfall, a significant portion of the student body has been unable to leave their homes to return to campus. “My flight was at 7:45 a.m., but if I had taken a later flight time [back to YHC] then my flight would have been cancelled, and I would’ve been stuck,” said Lateefah Dooling, a freshman musical theatre major from Fort Lauderdale who travels between YHC and Fort Lauderdale by plane. While Dooling was fortunate to arrive to campus when she did, many other students have not been as lucky. Johanna Gil-Arroyo, an English major from Athens is one YHC student who has been unable to come back to campus until the weather improves. Many YHC students are facing this same dilemma, and until weather conditions improve YHC administration has urged students to remain where they are until it is safe to travel.